Mentioning releases, remixes or labels on which Steve Rachmad has shown his craPsmanship, or boasting about clubs and festivals on which he has leP his mark, would just make for another list of names, places and brands…. Let’s not go there. Feel free to visit the usual channels such as Discogs, Soundcloud or Beatport, and take your pick from the numerous productions and dj-sets, which resulted from polishing a one of a kind talent for over two decades. Because as Miles had his horn and Pablo took to his brush, Steve has an unequalled giP for making a connection with every thinkable drum machine and synthesizer out there… If the man had kids, boys would have names as Roland or Robert (Moog), and a girl would surely be named Linn, aPer the machine made famous in the 80’s by Prince. No wonder one of his major achievements is the album Secret Life Of Machines. Released in 1995, the force of this piece is still strong today, resulting in last years re-release with remixes from Ricardo Villalobos, Joris Voorn and Marc Romboy. For music to have this kind of timeless value is a rare thing in today’s electronic music scene. Steve’s dj performances constantly evolve. Set “rmly in the best that techno and house have to ofler at the moment, he’s always inspired by high quality disco, dub and electro from the early days. 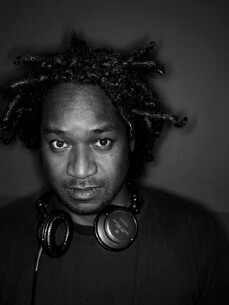 There are two personas in his dj life: as STERAC he plays techno with dark, deep, edgy atmospheres. When his birth name is on the bill, it can be anything from planet Rachmad; a realm best explored by listening to one of the extended sets recorded at Panoramabar and his own, Studio 80 based, kis. club night.